Many nights, Tonya Cook made her rounds alone. She walked the halls of one of Florida’s most dangerous mental hospitals clutching her clipboard to her chest, trying not to think too much about the patients in her care. All of them were men. Many were schizophrenic, violent. One had chopped up a diabetic amputee and scattered him in parts through the woods of Dixie County. One night in 2012, she walked the ward again, a single orderly watching over 27 men. Her nearest co-workers were upstairs, out of sight. They didn’t see what a security camera captured — a patient holding a radio antenna fashioned to a jagged point. He calmly approached Cook as she sat looking over her notes. Then he swung. As blood puddled on the floor, only the other mental patients at North Florida Evaluation and Treatment Center were close enough to help. Florida’s state-funded mental hospitals are supposed to be safe places to house and treat people who are a danger to themselves or others. But years of neglect and $100 million in budget cuts have turned them into treacherous warehouses where violence is out of control and patients can’t get the care they need. Since 2009, violent attacks at the state’s six largest hospitals have doubled. Nearly 1,000 patients ordered to the hospitals for close supervision managed to injure themselves or someone else. Your browser does not support HTML5 video. Please download a modern browser. For years, the state Legislature, the governor’s office and the agencies that oversee Florida’s mental hospitals ignored the chaos and continued cutting. Then state regulators hid the full extent of violence and neglect from the public. Over the past five years, at least 15 people died after they injured themselves or were attacked by other patients. One man with a history of suicide attempts jumped off the eighth floor of a parking garage. Another was stomped to death because no one separated him from rivals even though they had beaten him up the night before. Staffing shortages are so acute that violent patients wander the halls unsupervised. Employees are left alone to oversee 15 or more mentally ill men. Sometimes they carry no radio to call for help, and the nearest guard is in another building or on another floor. Even when patients are placed under special watch, they have been able to swallow batteries and razor blades or hoard weapons to use on other patients. At a hospital in Florida City, a patient needed nothing more than a wad of paper to break out of his locked room and stab his neighbor 10 times. As the man bled on the floor, a staff member, unaware of what had happened, helped the attacker wash his bloody clothes. Florida has no statewide minimum staffing requirements. And there are virtually no repercussions for administrators, even when someone dies. State regulators have fined the hospitals a total of $2,500 in the past five years. One hospital paid $1,000 after a patient escaped and was run over by a truck. At least three people died because hospital workers took too long to call 911. Some employees say they felt pressure not to call paramedics because of the expense. Others say they were required to track down a supervisor first, leading to delays. The state Department of Children and Families operates three of Florida’s primary mental hospitals. Three others are run by a private company, Correct Care Recovery Solutions, with DCF oversight. During an interview in early September, top DCF officials, including Secretary Mike Carroll, initially disputed that their hospitals were short-staffed and had seen an increase in violence. When reporters pointed out that DCF’s own numbers show a 45 percent increase in violent and other dangerous incidents since 2008, John Bryant, assistant secretary for substance abuse and mental health, shook his head, puzzled. But state officials have no way to know how much violence occurs at their own facilities. Since 2005, DCF administrators have steadily relaxed reporting requirements so that hospitals no longer need to disclose most patient injuries. The reports that have been filed are in such disarray that accurately comparing them over time is impossible. DCF administrators were unable to provide copies of dozens of incident reports for their mental facilities. DCF spokeswoman Michelle Glady first said records from three hospitals prior to 2011 had been lost. She later said the documents may never have been created because DCF did not have a standard reporting form until 2011. Still, the rising crisis at Florida mental hospitals has not been kept secret from DCF officials. Fourteen times since 2005, DCF and the Agency for Health Care Administration investigated internal complaints about staff shortages that put lives at risk. Investigators confirmed nine of those cases. Then, DCF’s Inspector General warned that workers’ compensation claims related to violence started rising in 2011. Instead of hiring more guards, adding nurses or increasing counseling sessions for patients, DCF and state lawmakers kept cutting. From 2011 to 2013 alone — at the same time violent incidents rose across the state — former DCF Secretary David Wilkins oversaw $61 million in cuts from the hospitals, more than 15 percent of their funding. That came on top of about $35 million already cut in the two years prior. The number of violent incidents doubled from 2009-10 to 2013-14, the last year for which complete data was available. At the same time DCF cut more than $100 million from the hospitals’ budgets. The hospitals eliminated almost a third of their workforce. Across the state, counseling sessions, training classes and other activities were shut down, reducing supervision and leaving patients bored. Northeast Florida State Hospital in Macclenny laid off one-third of its psychology staff, according to Harry Reiff, who was head of psychology services at the time. Before Cook was stabbed in the face, her hospital cut the number of guards on duty from 12 to eight, according to former security supervisor Gerald Simmons. Staffing shortages are now so acute that employees say they sometimes can’t take bathroom breaks, much less control the patients in their care. The newspapers spoke to more than two dozen current and former employees who said they were too busy to perform routine medical checks and were often left alone on the ward. Every year, about 5,000 people pass through one of Florida’s six primary mental hospitals in desperate need of help. About 40 percent are “civil commitments,” meaning they were not charged with a crime but are considered dangerous to themselves or others. The remainder were arrested and deemed mentally unfit to stand trial. These “forensic” patients are sent for treatment until their competency is restored and they can return to court in order to face their charges. Most patients are not hardened criminals or deranged killers. They struggle with illnesses that require daily treatment and have no other place to get it. Many are suicidal and have not threatened anyone but themselves. Mental hospitals are filled with people who hear voices, who see visions and who can’t control their actions. It takes extraordinary levels of oversight to keep patients from hurting themselves or attacking one another. For decades, hospitals locked unruly patients in isolation rooms or strapped them to chairs and beds for long periods. Across the country, this practice ended after a series of deaths and high-profile lawsuits. Beginning in 2005, Florida quietly phased out restraints and reduced time spent in seclusion. Hospitals became more reliant on drugs to keep patients calm. And hospital workers became an even more important line of defense. Increasingly, they were expected to stand watch over patients and calm them with words or physically step in to prevent violence. But instead of adding staff, Florida officials spent most of the past decade reducing supervision at every opportunity. DCF officials have not sounded the alarm in the Capitol or found ways to shift money from their $2.9 billion budget to hire more hospital workers. Instead, as the Legislature increased DCF’s budget by about $60 million in 2012 and 2013, Wilkins, the DCF secretary in those years, continued to cut hospital spending and put the money into other agency programs, including foster care. That trend has barely changed under Secretary Carroll, who has increased the hospitals’ budgets by less than 1 percent. Florida now trails many other states when it comes to workers on duty, with about half as many per patient as Washington and one-third as many as North Carolina. The nation’s third-largest state — and one of its richest — now spends less per capita on forensic mental hospitals than 42 others. It ranks 49th in total spending on all services for the mentally ill, according to the National Association of State Mental Health Program Directors. The depth of the state’s neglect is on display at its oldest and largest institution, Florida State Hospital. The hospital holds 1,000 patients in a sprawling complex just off Main Street in downtown Chattahoochee, a riverfront outpost of 3,000 people near the Georgia border. Inside, past the bubbling fountains and manicured hedges, things seem to get worse year after year. In 2010, state health inspectors discovered raw chicken dripping blood on top of hard boiled eggs that were about to be served to patients. In 2013, inspectors found fire extinguishers in a cabinet that had been painted shut. The central alarm in one building no longer triggered an alert, putting 300 patients at risk. It had been broken for two years. In 2015, some patients had no air conditioning. Others found roaches in their cake. Inspectors found similar conditions at other Florida institutions. At South Florida State Hospital, a state-funded mental institution run by a private company in Broward County, doctors told their bosses in July 2012 that patients didn’t have enough food to eat and were picking through trash cans for their meals. 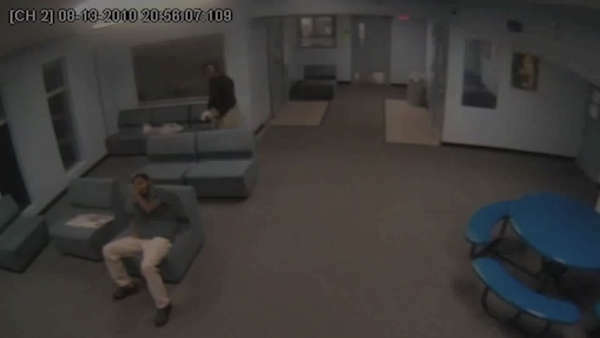 At Northeast Florida State Hospital in Macclenny, employees could not stop a patient from urinating on the floor. Workers repeatedly asked their bosses to replace the flooring. But repairs were not made, leaving the room reeking so badly that employees gagged when they entered, according to an April 2014 state inspection. The next year at the same hospital, officials found trash on the floor and spoke to workers who said rats crawled through the walls and into patients’ beds. In an interview with the Times/Herald-Tribune earlier this year, Wilkins said Florida State Hospital and some of the older institutions should be torn down. “If the average person saw those facilities, they would be ashamed,” Wilkins said. But under Wilkins’ leadership from 2011 to 2013, maintenance budgets dropped by 12 percent — about $2 million. Not long after state officials began cutting mental hospital budgets in 2009, Daniel Lamar Mosley learned what happens when no one is around to keep patients under control. Mosley, 36, a chronically homeless man, was sent to North Florida Evaluation and Treatment Center in Gainesville in June 2010 after he wandered naked outside a homeless shelter. Police found him standing in a daze in front of people, including children, and arrested him for exposing himself. Two months later, he argued with another patient in the TV room — one of the busiest parts of the hospital. Video cameras capture Errol Lyndon Lewis, 34, knocking Mosley to the ground and kneeling down to hammer his face with his fists, 18 times in all. Then Lewis stood up and stomped Mosley’s head. Lewis walked away, leaving Mosley unconscious on the floor for 30 seconds. Still, no help came. Lewis had time to return, kneel over his victim and choke him until blood oozed from his nose. More than two minutes after the men started arguing, the first employee arrived. Darlene Debose, 5-foot-6, stared down an enraged mental patient who once beat up three sheriff’s deputies in Ocala. “Please get off him,” she begged, standing at arm’s length. Mosley survived the beating after doctors treated his broken skull, face and jaw. Florida taxpayers were left with more than $60,000 in emergency room bills. As hundreds of hospital workers lost their jobs in 2011, attacks like this increased across the state. In 2009, state records and police reports show 23 acts of violence against patients or workers at the four hospitals that house people until they are fit to stand trial. The next year, there were 47. By 2014, the number reached 72. Thousands of pages of records document stories of the mentally ill being left unsupervised and easily able to hurt each other and their caretakers. One patient had his scalp split to the bone and wound up in a coma because his rival thought he had “demonic powers.” A female counselor left alone with a patient was beaten so badly she now uses a cane to walk. At the hospital in Macclenny, a man lost two fingers when he was trapped in a room and a patient slammed the door on his hand. In June 2013 at Treasure Coast Forensic Treatment Center near Lake Okeechobee, Daniel Kellond warned staff members he was angry and planned on putting someone in the emergency room. “I am a criminal,” he announced to the police. Earlier this year at the state institution in Chattahoochee, two younger patients beat Miguel Menendez-Carrera, 57, because they thought he was a snitch. No one made sure the men remained separated. The next morning, upset about the attack, Menendez-Carrera threw urine on them. They stomped him to death. 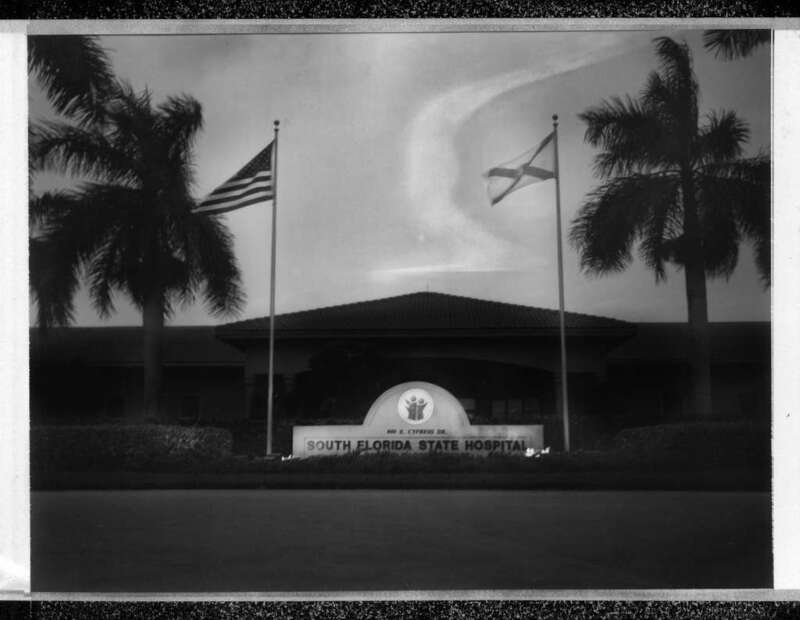 Florida’s mental hospitals once were required to file a report every time a patient was injured and needed medical treatment. Each year, DCF compiled those reports and sent them to state lawmakers, who control the agency’s budget. But over the past decade, DCF administrators have changed their own reporting rules in ways that made the hospitals seem safer than they really were. Because the changes were made to the agency’s internal procedures manual, they did not require a public hearing or approval by the Legislature. The result of the new rules: Hospital administrators don’t have to account for hundreds of assaults and injuries that happen on their watch. While DCF says there were about 450 injuries or attacks over the past six years, the Times/Herald-Tribune found nearly 1,000. The Times/Herald-Tribune found more than twice as many injuries and attacks as DCF reported in five of the last six years. State numbers before 2011 may include incidents that are not attacks or injuries because the state could not provide detailed reports. At North Florida Evaluation and Treatment Center outside Gainesville, administrators determined there were three incidents serious enough to be reported to DCF in the 2011-12 fiscal year. The Times/Herald-Tribune found 16 injuries and attacks during the same period. A patient threw an employee down a flight of stairs, slamming his head into a brick wall. Another patient wound up with a swollen head after three people held him down and punched him over and over. A third needed stitches after he was punched repeatedly in the face during a fight over the TV. The newspapers found similar reporting discrepancies across the state. 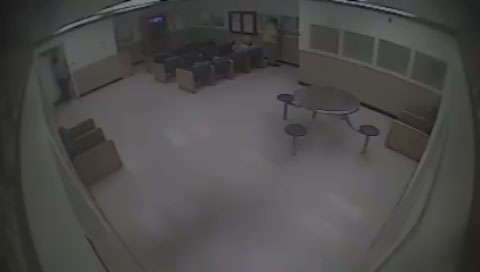 At Florida State Hospital’s forensic and civil units, administrators reported 16 violent incidents from July 2012 to June 2013. The newspapers found three times as many. During the 2013-14 fiscal year at Northeast Florida State Hospital, administrators reported seven incidents. The Times/Herald-Tribune found more than 40. Bryant, the DCF assistant secretary, said his agency relies on hospitals to accurately report on incidents that occur. “If we have an issue with folks not reporting that to us, that’s a problem,” Bryant said. In August 2011, workers at Northeast Florida State Hospital in Macclenny signed paperwork showing they did their rounds diligently all morning. They marked patient James Fleurant as “present and observed” every half hour from 7:30 to 10 a.m.
As his caretakers later learned, the 46-year-old schizophrenic patient had jumped a 5-foot fence and made his way to State Road 121, where a semitrailer truck ran him down at 9:30 a.m.
As the state cut mental hospital staff and demanded more work from those few who remained, employees found one easy way to save time: They stopped checking on patients. Treatment teams headed by doctors order dangerous or suicidal patients to be checked regularly, sometimes as frequently as every 15 minutes. But their orders routinely go ignored. In recent years, dozens of employees have been caught skipping the safety checks, hospital personnel records show. Vince Druding, a former night nursing supervisor at North Florida Evaluation and Treatment Center, blames understaffing. His hospital near Gainesville once had as many as four medical technicians on every ward, Druding said. When that number was cut in half, it became “impossible” to check on every patient, he said. “As soon as you get done, you’ve got to turn around and do it again,” he said. Read about 14 cases in which patients died at one of Florida’s mental hospitals. Since 2009, at least seven people died after staff members missed a safety check or broke other hospital rules. One patient was left alone in a scalding bath for so long his skin came off when workers tried to revive him. A 33-year-old woman on suicide watch wasn’t supposed to have access to bed linens but managed to sneak them into her room and hang herself. John Kenyon Whitaker III choked to death on a slice of pizza after an employee says his co-worker was called away from a post that is never supposed to be empty. Instead of watching closed-circuit video monitors from the control room, she was passing out lunch trays, leaving no one to trigger a medical alarm, according to Kiren Saucier, the technician who was with Whitaker at the time. DCF officials disputed Saucier’s account. They said someone came to help “immediately,” but did not provide an exact time. It’s easy for hospital administrators and DCF officials to ignore the dangerous situations they have created. They face virtually no repercussions. At least four times in five years, the Agency for Health Care Administration or DCF’s Inspector General found that administrators put patients and employees in harm’s way because their hospitals weren’t properly staffed. No administrators were fired. AHCA levied a total of $2,500 in fines. Tonya Cook felt safer the six years she worked at the maximum-security Union Correctional Institution than she ever did behind the gates of North Florida Evaluation and Treatment Center. Cook liked that she was helping people through their mental illnesses. But she felt unprepared for the violent outbursts that erupted around her. The mental facility taught her to defuse conflicts with words and showed her complex moves to physically subdue unruly patients. She said she didn’t think she would have remembered them in the heat of the moment. Cook is still angry about how the hospital handled safety. Security guards were stationed outside the wards, in a separate building. There were never enough to ensure she wasn’t alone. “There was never any security in these buildings at all unless something happened,” she said. 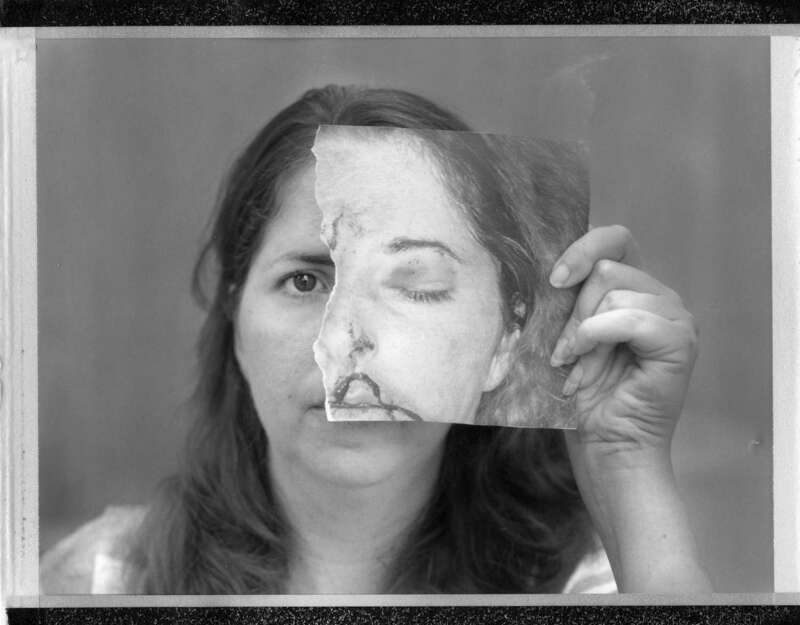 Four days after Cook had her face sewn up with 30 stitches, her boss asked if she could return to work. She tried. But every time she thought of going behind the locked doors of Building 12, her heart would race, and she froze. So Cook asked to remain in a medical records desk job that the hospital arranged for her. A year later, when she still refused to return to her old job, they fired her. Times computer-assisted reporting specialist Connie Humburg and researchers Caryn Baird and Natalie Watson contributed to this report. Times reporter Leonora LaPeter Anton can be reached at [email protected] or 727-893-8640. Times reporter Anthony Cormier can be reached at [email protected]. Herald-Tribune reporter Michael Braga can be reached at [email protected]. Three reporters for the Tampa Bay Times and Sarasota Herald-Tribune spent more than a year investigating Florida’s largest state mental hospitals. Reporters interviewed dozens of current and former employees and crisscrossed the state to talk to mental patients and their families. The newspapers collected “critical incident” reports from the state Department of Children and Families, which oversees the hospitals. But those reports provide an incomplete picture because they only track the most serious incidents. In addition, agency officials said they had lost reports for some hospitals in recent years. To better chronicle conditions at the hospitals, reporters obtained public records on thousands of police calls made from mental hospitals across the state. They used the records to create a first-of-its kind database, representing the most comprehensive list of injuries and violent episodes ever created for Florida’s mental institutions. In calculating the number of incidents over time, the Times/Herald-Tribune discarded allegations that police dismissed as unfounded. In the case of South Florida State Hospital, however, that could not be determined because the Pembroke Pines Police Department was unable to provide copies of its reports. When calculating budget cuts, the Times/Herald-Tribune used official figures published on the Florida Fiscal Portal, which include DCF’s administrative costs. We will not use your email address for any purposes other than this notification.